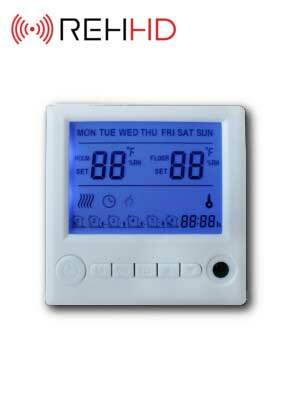 A new quick-assembly system ensures simple mounting on the wall or ceiling, either vertically or horizontally. To do this, please ensure a clearance of 2.5 to 2.7 meters to objects or persons. Our standard model TERM 2000 IP67 polished aluminium comes in a robust, polished aluminium housing. 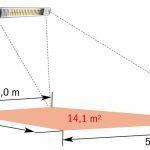 The waterproof infrared heater comes in different lengths (45 cm, 61 cm and 65 cm) and outputs (1.0 kW to 1.5 kW and 1.65 kW up to 2.0 Kilowatts), according to the model. The TERM 2000 IP67 also comes in an ULTRA LOW GLARE version, with 80 percent less red light. The waterproof radiant heater connects to a standard 230 volt outlet, through which the heater can be turned on and off. As an alternative, you can control the warmth and operating time of the small heater TERM 2000 COLOR IP67 via the accessories from our CONTROL Centre. In this case, please choose the model with Hirschmann Set. 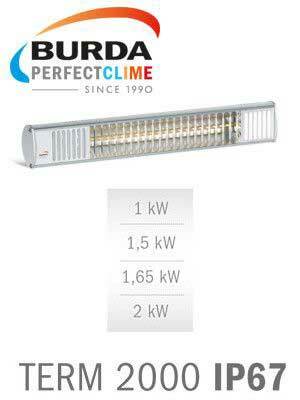 Burda TERM heaters use near-infrared or “shortwave” heat, an intense form of infrared heat which produces a warming glow. Sitting beneath a Burda TERM heater feels a little like sitting beside a bonfire or an open hearth – invigorating! Infrared technology heats outdoor spaces more efficiently and effectively than conventional fan heaters or convection radiators. 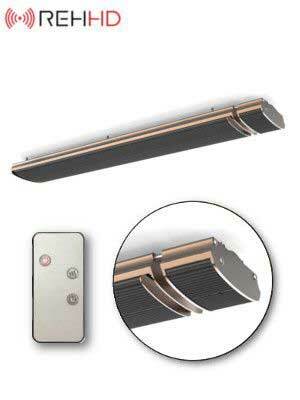 While convection heaters rely on heating the air – which quickly escapes to cooler spaces when used outdoors – infrared heaters heat people and objects directly, with no wasted energy. In the same way the sun warms your skin on a cold but bright winter’s day, infrared keeps you warm without changing the temperature of the air. Innovative bi-focus reflectors focus the radiated heat onto the optimum area for heating, reducing wasted heat, whilst double coated radiator tubes reduce red light by up to 80% – creating a pleasant, ultra-low “candlelit” glow. The TERM 2000 IP67 is compact, easy to use and comes in polished silver/aluminium. The heater is fully waterproof with an IP Rating of IP67, so you can install outside with confidence whatever the weather, whilst durable elements offer a service life of up to 5000 working hours and the heating element can be changed extending the life of the heater almost indefinately. 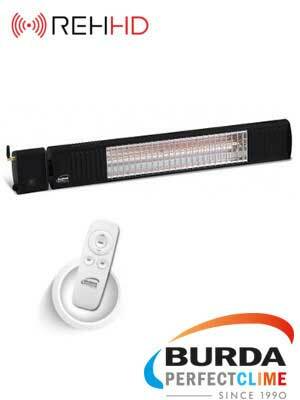 Burda design and manufacture their range of infrared heaters in Germany. The TERM 2000 IP67 comes with a 2 year manufacturer’s warranty and a hard-wearing aluminium design. The TERM 2000 IP67 can be wall mounted in a wide range of outdoor applications. The heater comes with a 1.9m cable and a fitted UK plug which can be used to install the heater indoors or in a fully sealed waterproof outdoor socket. Outdoor hardwired installation is a straightforward task for a professional electrician. The Term 2000 can be mounted horizontally or vertically and can also be mounted free standing when purchased with a compatible tripod. A hard-wearing, stylish heater ideal for restaurants, stadiums, arcades, workshops, factories, garages and other commercial and industrial outdoor spaces. 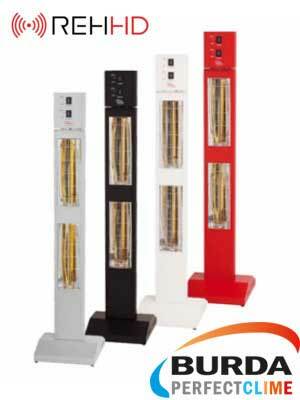 Quality German manufactured heaters by Burda.